The United States Air Force has a serious need for speed. On May first their X-51A Waverider zoomed to an amazing Mach 5.1 – more than five times the speed of sound. While there was no pilot behind the stick of the hypersonic jet, the knowledge gained in developing and flying the X-51A paves the way for the hypersonics of the future. The X-51A was lifted from Edwards Air Force Base in California by a B-52H Stratofortress and was released at about 50,000 feet (15,000 meters). A solid rocket booster then kicked in to bring the X-51A to Mach 4.8 in 26 seconds. The solid rocket booster then separated and the X-51A’s air-breathing supersonic combustion ramjet – or scramjet – engine pushed it up the rest of the way to Mach 5.1 and up to an altitude of 60,000 feet (18,300 meters). Four minutes later its fuel supply had been used up and it nosed down, finally crashing (as planned) into the Pacific Ocean. In just over six minutes it had traveled over 230 nautical miles, making it the longest air-breathing hypersonic flight ever. So what good is it to crash one of four hypersonic aircraft that cost the US government $300 million to develop? 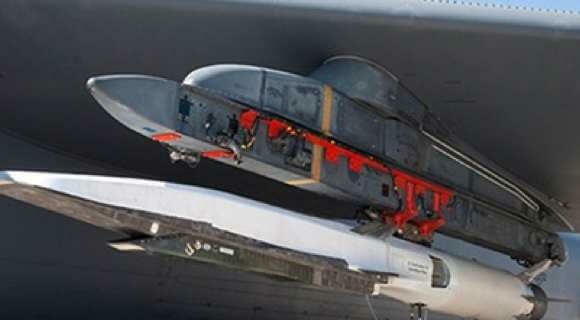 According to Charlie Brink, X-51A program manager for the Air Force Research Laboratory Aerospace Systems Directorate, it’s all about the future: “I believe all we have learned from the X-51A Waverider will serve as the bedrock for future hypersonics research and ultimately the practical application of hypersonic flight,” he said in a press release. The crashed vehicle was the last of four X-51As that were part of a program begun in 2004. The Air Force doesn’t plan on building any more. What makes the X-51A special is its scramjet engine which has no moving parts. Scramjets of the past have used hydrogen fuel, which is injected into a combustion chamber where it is mixed with incoming air and ignited. The X-51A differs in that it uses a hydrocarbon fuel instead for “lighting a match in a hurricane.” The Air Force says that logistical advantages that come with using hydrocarbon make it a much better choice for a sustainable scramjet program. A vehicle is defined as hypersonic if it travels past Mach 5.0. The current air speed record for manned flight is just under Mach 3. We’ve certainly come a long way since Chuck Yeager broke the sound barrier in 1947. Just last year Yeager went supersonic again to commemorate the 65th anniversary of his landmark flight. People like Yeager have the need for speed too, and it’s only a matter of time before someone gets behind the stick of a X-51A type and becomes the first to go hypersonic. Check out the amazing flight in the following video.